CMG Interactive delivers qualified leads for every type of school, degree, curriculum, and certification program. We produce consistent new enrollment results for campus based schools as well as online schools. Our expertise includes the successful targeting of high school and community college students, adults that have completed some college, 4-year college students and professionals seeking advanced degrees. We target my program and degree option. Our emphasis are in Business, Healthcare and Education. 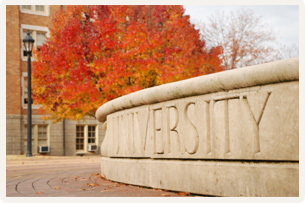 We target both undergraduates and graduate level students. We can identify your target audience and determine the best methods to produce leads which convert to active students. We will analyze your marketing, media, conversion and enrollment process. We create the optimum strategy to reach your audience cost-effectively, utilizing online media. Our media strategies are always executed on performance-based pricing. CMG Interactive looks at your cost per application and cost per enrollment goals prior to launching a "me too" cost per lead campaign. We know that schools need partners, not vendors so that is why we actually take the time and look at what matters for our clients. Since we are completely pay-for-performance marketing agency, take us for a test drive and see if we have what it takes to hit your targets. Student Experience Information: This tool provides our advisors with information that give the prospect an opportunity to read about student experiences in college at different schools. Match U 2 School: this feature allows you to take a personality test. There is a quick version and a longer, more detailed version available. It provides the prospect with a complete analysis of what schools they may want to consider. The logic behind this helps determine where you will be most successful. Additional tools include tuition calculators and search functions by accreditation levels.